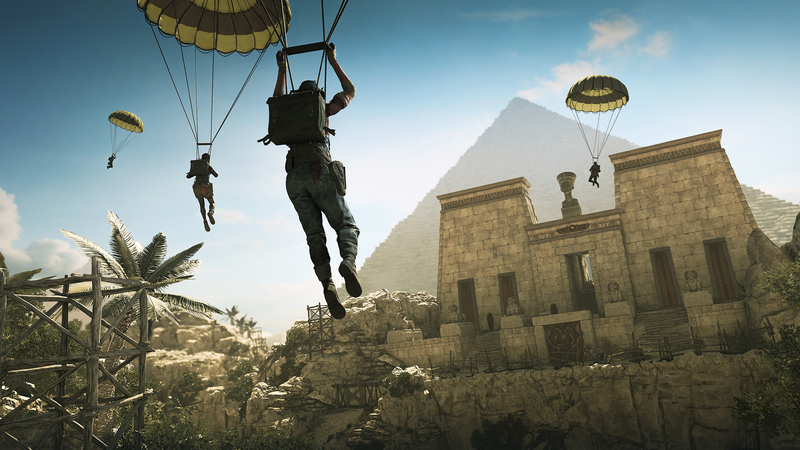 You can now get an in-depth look at Strange Brigade‘s gameplay! A six minute trailer looks at what the game has to offer. The entire thing is narrated and presented as an old-school documentary, explaining what players can expect from the action and how each character functions. Take a look at Strange Brigade‘s video! With black and white moments and faux book pages littered throughout the trailer, this gameplay footage is as playful as Strange Brigade is intended to be. You’ll be traveling through 1930’s Egypt, dealing with an army of undead monsters that Steki, the Witch Queen, has unleashed. This story mode can be completed with one to four players. The Strange Brigade is essentially the organization tasked with saving the world. The party consists of Gracie Braithwaite (the combustible aficionado), Nalangu Rushida (a powerful spirit warrior), Professor Archimedes De Quincey (discoverer of hidden secrets), and Frank Fairburne (a sharpshooter). These four different heroes come together for the greater good. Using ancient amulets, the brigade can harness the souls of the undead. There are 16 amulets in total, and each character can select one of four. If wielding supernatural abilities isn’t your cup of tea, there are plenty of firearm options, from shotguns to sub-machine guns. You can even encounter prototype weapons on your journey, which can be used for limited periods of time. Exploring off the beaten path will ultimately help you find more items. You can even add mythical jewels to your weapons for extra power. There are multiple ways to play Strange Brigade. In addition to the campaign, there are horde and score attack modes. Each one can be played alone or with up to four players. Will you join the team when Strange Brigade launches on August 28, 2018 for the PlayStation 4, Xbox One, and PC? If so, you may want to consider getting the season pass. Let us know in the comments.